Ingredients: 77% Champignon mushrooms (agaricus bisporus), 10% black Greek olives (Kalamata), 10% extra virgine Greek olive oil, 3% Black Truffles (T. Aestivum), vinegar, galeta, flavors, herbs, salt. 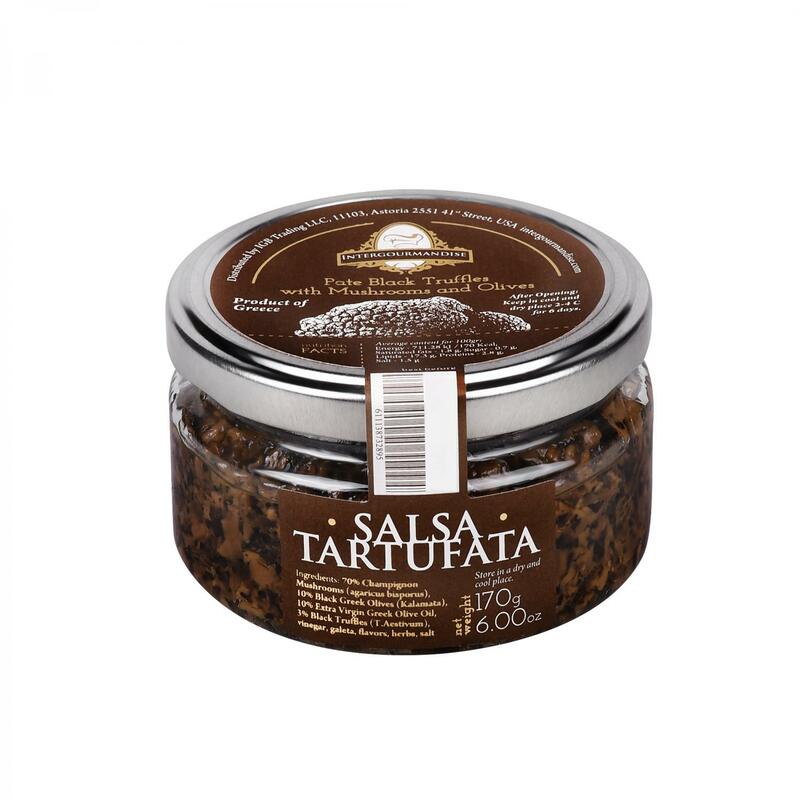 How to use: Salsa Tartufata is a great dressing for appetizers, pasta dishes and meat. How to Store: Store in cool dry place. After opening refrigerate at 2-4 °C for 6 days.